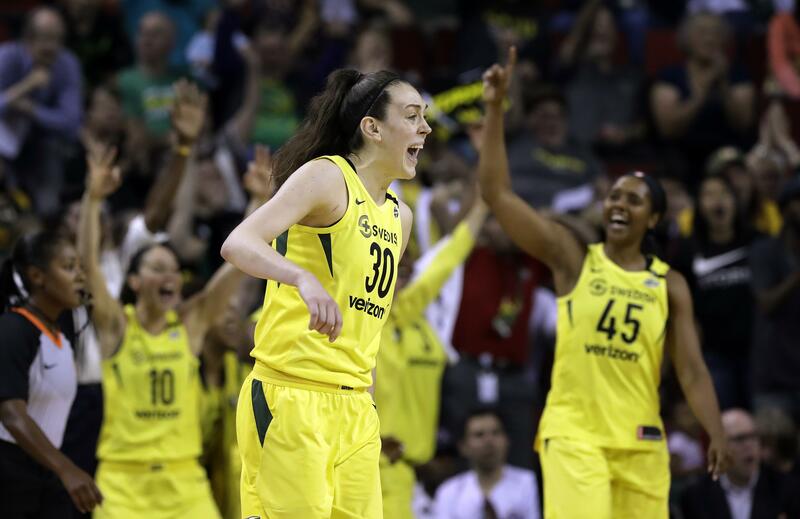 Tue., July 24, 2018, 7:33 p.m.
INDIANAPOLIS – Breanna Stewart had 26 points and 10 rebounds, Sue Bird also had a double-double and the league-leading Seattle Storm eased past the last-place Indiana Fever 92-72 on Tuesday night. Seattle built a 43-23 lead midway through the second quarter but went scoreless for the next three-plus minutes as Indiana closed the half on an 11-3 run to cut it to 46-34. But Stewart scored 16 of Seattle’s 25 third-quarter points as the Storm built an 18-point lead. Kelsey Mitchell scored 26 points for Indiana (3-23). Candice Dupree had 14 points and 12 rebounds and Cappie Pondexter scored 10. Mitchell’s fourth-quarter 3-pointer was her 58th of the season, tying Maya Moore for seventh on the WNBA’s rookie list. Published: July 24, 2018, 7:33 p.m.